Check out our most popular products in these customer-submitted photos! Ottoman table create a comfortable lounge spot, and work well both outdoors and indoors. sun lounger set facilitate movement between your pool, patio, deck, or even lawn! 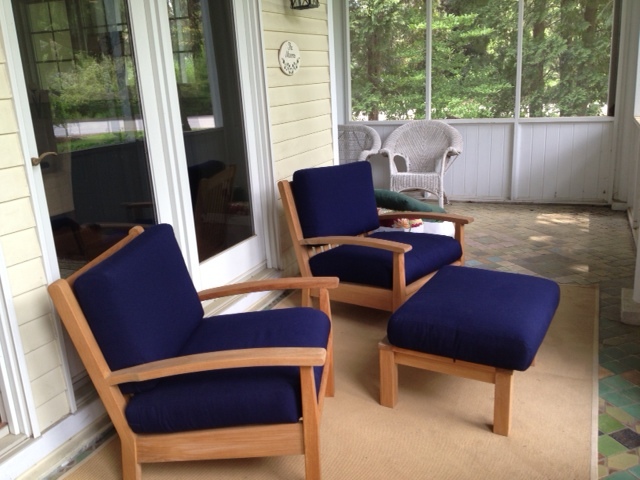 These versatile pieces provide the ultimate reclined relaxation. 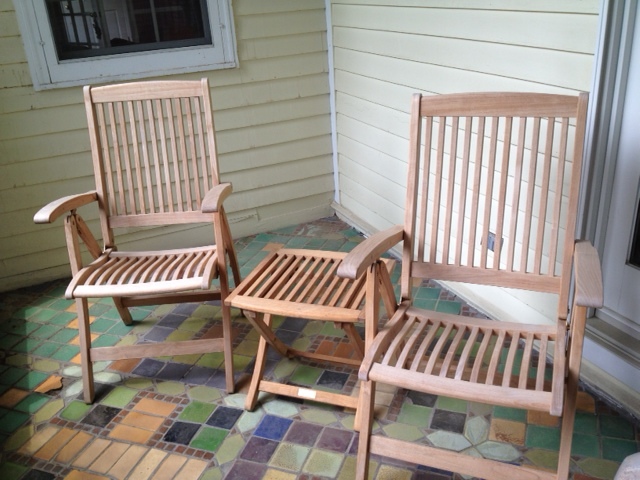 teak Salisbury recliner chair and barstool set, arranged on the deck of the home. Please call us at (866) 689 4041 if you have any questions!